Each year, the Alaska Court System works with legal organizations and educational groups to foster law-related education in our state. The Alaska Bar Association, the American Bar Association, the Anchorage Bar Association and other groups offer excellent educational programs that help students better understand our legal system and the rights and responsibilities of citizenship. Whether you are an educator, parent or student, we hope you will explore these opportunities for civic engagement and learning, which include iCivics, Supreme Court LIVE, Color of Justice, Law Day, and the Alaska High School Mock Trial Championships. The next Color of Justice Program is scheduled for September 26-27, 2019, in Anchorage. Check here for more details as they become available. The Color of Justice program brings diverse youth from across the state together for exciting workshops and activities designed to introduce them to the study of law and to encourage them to consider legal and judicial careers. Color of Justice 2018 high school program held at Mount Edgecumbe High School in Sitka. On November 7-8, 2018, the Alaska Court System, Mount Edgecumbe High School, and Sitka Bar Association hosted the Color of Justice program. 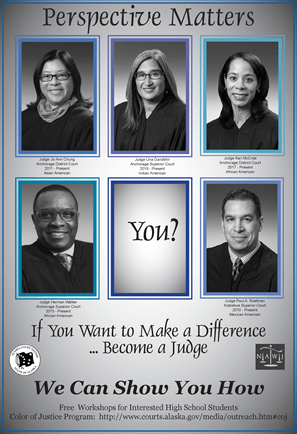 Color of Justice is a law-related education program founded by the National Association of Women Judges designed to promote diversity in the legal profession and judiciary by encouraging diverse youth to consider careers as lawyers and judges. Over 90 students from 51 communities and villages across the state participated in two days of workshops and other activities presented by representatives from Gonzaga University School of Law, Seattle University School of Law, University of Washington School of Law, and lawyers and judges from the Alaska Court System, as well as judges from the Sitka Tribe of Alaska. Color of Justice sessions included "MentorJet: A Speed Mentoring Experience," where students met with a variety of lawyers, judges, and justices. "Constitutional Cranium," a quiz show on constitutional knowledge, a "You be the Judge" program, and a new program called Legal Monopoly. Increasing diversity on the bench is important to fostering public trust and confidence in our justice system, according to Justice Susan Carney who participated in the program this year - Color of Justice serves this goal, she says, by reminding young people that our justice system must be made up of all parts of our community so that people will have confidence in it. Judge Jude M. Pate, who chaired the Sitka program this year, also remarked that "the Mt. Edgecumbe students in this year's program were extremely intelligent and engaging. They give me confidence that Alaska will have creative and compassionate leaders in the future." Questions? Contact Mara Rabinowitz at 907-264-0879 or Margaret Newman at 907-264-0864. Learn about your government…the fun way! Alaska’s Supreme Court Justice Dana Fabe invites Alaska's young people to learn about the rights and responsibilities of citizenship the fun and effective way, through a new online program available for FREE at www.icivics.org. iCivics is a new web-based education project founded by U.S. Supreme Court Justice Sandra Day O'Connor (Ret.) to teach students civics and inspire them to be active participants in our democracy. Alaskan educators and their students are encouraged to visit the website and check out the games, web quests and other great resources for civic learning. If you would like to have a judge or attorney visit your classrooms to present an iCivics activity, please contact the Clerk of Court at the courthouse nearest you or the court's statewide Judicial Outreach Mara Rabinowitz, at 907-264-0879 or mrabinowitz@akcourts.us. 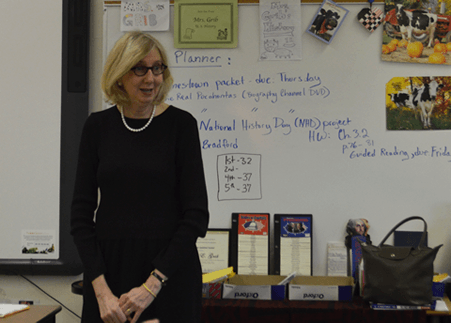 Chief Justice Fabe visited Romig Middle School in October 2013 to talk with students about iCivics. She also worked with the students as they played interactive iCivics games online. U.S. Supreme Court Justice Sandra Day O'Connor (Ret. ), founder of iCivics, visited Anchorage on September 5, 2012, to promote the program. Here she meets with principals and teachers from the Anchorage middle schools that participated in the 2012 "iCivics Middle School Challenge." 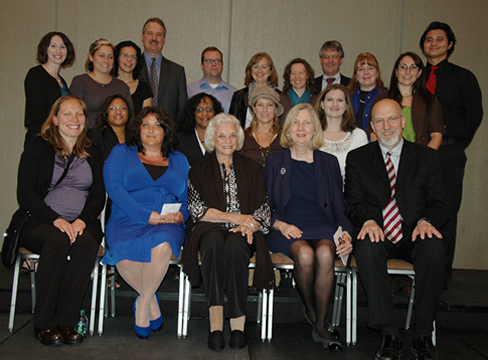 With Justice O'Connor in the front row are (starting 2nd from left): Hanna Sebold, President, Alaska Bar Association; Justice O'Connor; Chief Justice Dana Fabe, Alaska Supreme Court; and Justice Walter Carpeneti, former Alaska iCivics Chair (2010-2013). Justice for All ART CONTEST!! Our Justice System Depends on Them; What Do They Mean to You? The "Justice for All" Art Contest asked students to submit two-dimensional artworks on the theme "Fairness, Diversity, Equality: Our justice system depends on them. What do they mean to you?" The contest received entries from K-8 students from all across Alaska. Finalists were selected by members of the court system's appellate staff, representatives from the Alaska Bar Association's Law-Related Education Committee, and members of the Alaska Supreme Court's Fairness, Diversity & Equality Committee and Access to Civil Justice Committee. The contest sponsors would like to extend special thanks to Perkins Coie LLC for donating the contest prizes. We also wish to congratulate the contest winners, and to thank all of the entrants for their wonderful works of art, which inspire us to ensure that fairness, diversity and equality continue to be vital values of our justice system. Please Note: The artists' names are linked to photos of their artwork. The Artists' Statements are in PDF format. Law Day, which is celebrated every year on May 1, is a special day focusing on our nation's heritage of liberty under the rule of law. This national day of celebration was officially designated by joint resolution of Congress in 1961. 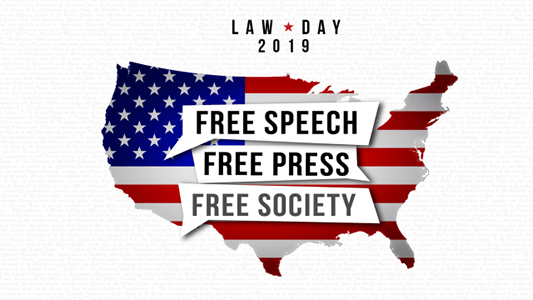 The 2019 theme - Free Speech, Free Press, Free Society - focuses on these cornerstones of representative government and calls on us to understand and protect these rights to ensure, as the U.S. Constitution proposes, "the blessings of liberty for ourselves and our posterity." 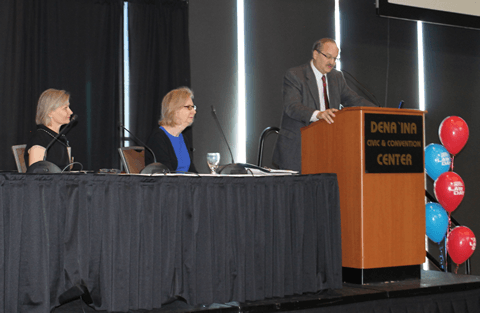 The 2014 annual Law Day Luncheon featured the keynote address: Law-Related Education--New Frontiers in Community Education and Outreach for Alaska's State and Federal Judiciaries. The speakers were L-R: Ninth Circuit Court of Appeals Judge Morgan Christen, Chief Justice Dana Fabe, and U.S. District Court Chief Judge Ralph Beistline. 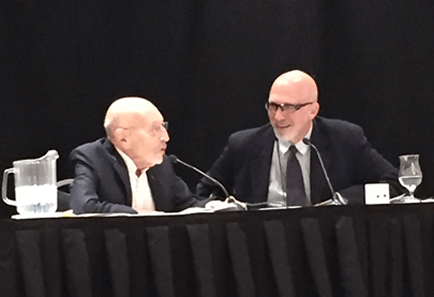 The 2015 Law Day Theme was “Magna Carta: Symbol and Freedom Under Law.” The Keynote address was “Choosing Alaska’s ‘Tallest Timber’ For the Judiciary: Theory and Practice,” presented by Constitutional Convention Delegate Vic Fischer and Retired Justice Walter Carpeneti. For more information about Law Day in general, visit the American Bar Association website at www.lawday.org. 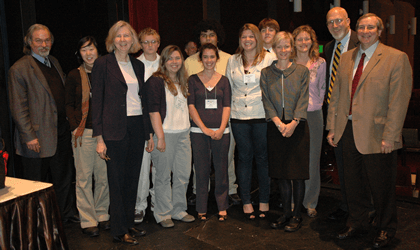 In February 2010, the Alaska Supreme Court launched a new educational outreach program, Supreme Court LIVE, to bring oral arguments in actual pending cases to student audiences at Alaskan high schools. Designed to help students better understand our justice system, this unique learning opportunity debuted at West High School in Anchorage on February 19, 2010, before 400 high school students from across the Anchorage School District. 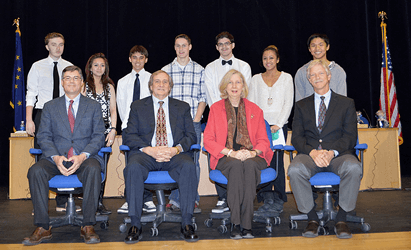 Justices of the Alaska Supreme Court at the October 19, 2016 Palmer program with Colony High School students. Back row: Justice Joel Bolger, Justice Daniel Winfree, Chief Justice Craig Stowers, Justice Peter Maassen, Justice Susan Carney. Front row: students (l-r): Corbyn Benjamin, John Brahaney, Makenna Watkins, Braden Bowker, Coleen Geraghty, Brett Knighten, Sierra Ring, and Skyler Wood. The second Supreme Court LIVE program was held at Juneau-Douglas High School on Constitution Day--September 17, 2010—before 600 students from both JDHS and Thunder Mountain High School. The third program was held February 24, 2011, at West High School in Anchorage before 700 students from seven area high schools. The fourth program was held at Lathrop High School’s Hering Auditorium in Fairbanks on February 6, 2012 before high school students from across the Fairbanks area. Two days later, on February 8, 2012, the program returned to West High School in Anchorage for a third time. 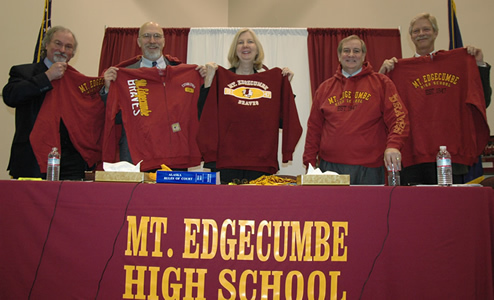 On October 29, 2012, the court traveled to Sitka and held argument at Mount Edgecumbe High School which was attended by students from both Sitka high schools. The court traveled to Barrow to hold argument on October 3, 2013 before the entire student body of Barrow High School. In February of 2014, the program was held at West High school, and in November of 2014, the court held argument at Ketchikan High School. In its first excursion to the Matanuska-Susitna Valley, the Alaska Supreme Court heard oral argument at Colony High School in Palmer on October 19, 2016. 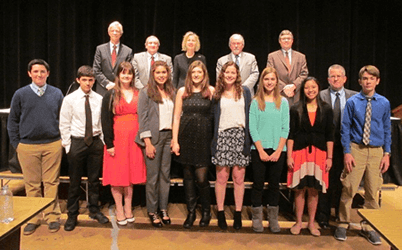 The court with timers from the Ketchikan High School National Honor Society and ushers from the Ketchikan Youth Court, 2014 Supreme Court LIVE program in Ketchikan. Back Row L-R: Justice Peter Maassen, Justice Daniel Winfree, Justice Dana Fabe, Justice Craig Stowers, Justice Joel Bolger The court with timers from the Ketchikan High School National Honor Society and ushers from the Ketchikan Youth Court. Justices of the Alaska Supreme Court at the October 3, 2013 Barrow program with student volunteers from the Barrow High School Student Council who served as timers and ushers. Members of the court include (L-R): Justice Joel Bolger, Justice Daniel Winfree, Chief Justice Dana Fabe, and Justice Peter Maassen. Keys to the success of the program are the advance visits to classrooms by volunteer attorney teams. Attorneys provide both an overview of the legal system and appellate process and an in-depth review of the specific cases to be heard. As a result, students come to the arguments prepared and engaged, and leave with a good understanding of the process and the issues at stake. The court with Juneau Youth Court students who acted as ushers at the September 17, 2010 Juneau program. 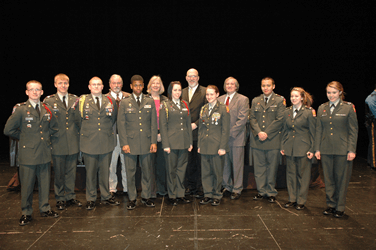 The court with the ROTC students who were ushers at the February 2, 2012 Fairbanks program. Students from any school may participate through use of the material below and replay of the arguments on KTOO's statewide Gavel to Gavel program. Interested teachers may also obtain recordings of the arguments to play in their classrooms as described below. Schools, teachers or attorneys interested in learning more about the program are encouraged to contact the Clerk of Appellate Courts, Meredith Montgomery. Justices of the Alaska Supreme Court gather at the October 2012 Supreme Court LIVE program at Mount Edgecumbe High School in Sitka. Members of the court include (L-R): Justice Craig Stowers, Justice Walter Carpeneti (Ret. ), Chief Justice Dana Fabe, Justice Daniel Winfree, and Justice Peter Maassen. 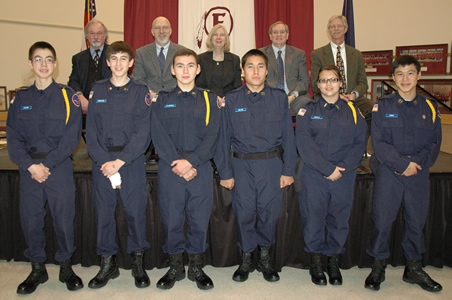 Justices of the Alaska Supreme Court gather at the close of the October 2012 Supreme Court LIVE program in Sitka with members of the student ROTC program who served as ushers for the event. Members of the court include (L-R): Justice Craig Stowers, Justice Walter Carpeneti (Ret. ), Chief Justice Dana Fabe, Justice Daniel Winfree, and Justice Peter Maassen.